A band made up of members from Norway and Germany playing music inspired by Celtic/Gaelic sounds and instruments while still remaining true to their own sound? For those of you who do not know the band Leaves’ Eyes, the vocalist is ex-Theatre Of Tragedy singer, Liv Kristine Espenæs Krull (get it? Leaves’ Eyes?) and the band itself is made up of members of Atrocity ( Alexander Krull – keyboards and vocals. He is also Liv‘s husband. Roland Navratil – Drums, Thorsten Bauer – bass and guitar. And not in Atrocity, Sander van der Meer – guitar). Leaves’ Eyes loves to tell stories from the past and incorporate olden-style instruments so that the music itself is speaking the story too. That could easily place them in the FolkMetal genre, but, they also use a lot of symphony, death metal growls, choirs… You never know what to expect from song to song and album to album. That not many in the U.S. have heard of them is not their fault. Many tours have been planned and then scrapped at the last minute and the cause is never that of Leaves’ Eyes. Had all the planned tours actually happened, I think word of mouth would have brought this band the popularity they deserve. I, of course, like to get the version with as many extras on one release as I can. Therefore, I had to wait a bit while the limited edition digipack with a bonus DVD included was ordered and delivered but the wait was worth the product as the DVD is a live recording of Leaves’ Eyes performance at Metal Female Voices Festival 2010 in Oktberhallen Wieze, Belgium. Meredead is a great album through and through. The way the songs come across, the instrumentation and the choosing between vocal styles by the singers, is nothing short of performing each song for the sake of the song. There are no hits or fillers here. Meredead is an album of songs that are well thought out in theory and composition. I would be amazed if the band does not get recognition for this album the world over. While I mentioned vocal styles, I am not only speaking of the male voice, which cycles between smooth and death growls, but those too of Liv‘s. Her styles flux between classic style, regular delivery, and almost pop sounding at times. The voices, along with the music, make the album eclectic but never infringe upon the listening experience as the band pulls off the change with grace and style. Upon first listen I was surprised at what a great album Meredead is because the band talked it up in the press quite a bit and the hype was big which can spell letdown quickly. But no, the band’s talk was not hype. 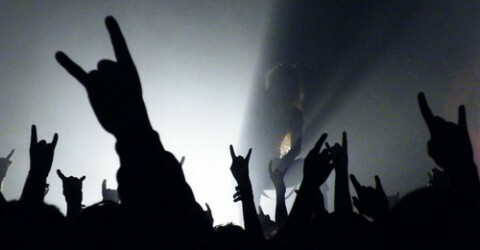 This is a great year for EuroMetal. With new releases from Within temptation, Midnattsol, Nightwish, Rhapsody Of Fire, HammerFall, Edguy, DragonForce, Opeth, Lacuna Coil, Virgin Black, Delain, Demons And Wizards, Stratovarius, Sirenia, Battlelore, Power Quest, Visions Of Atlantis, Children Of Bodom, Amon Amarth, Symfonia, Cruachan, Omega Lithium, Alestorm, Arch Enemy… way too many more to get to! 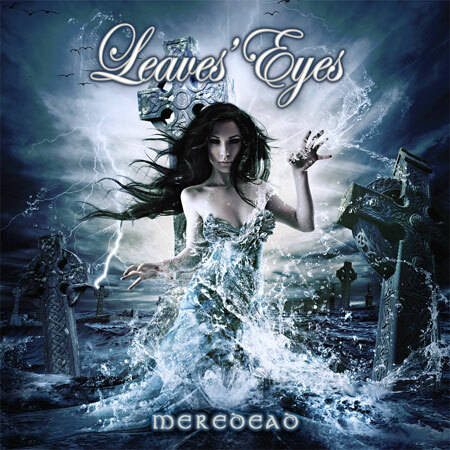 Leave’s Eyes Meredead is one album you should get. You will not be disappointed.